Editorial Dolar did print at least three series of Valiant. The second serie, small black & white pocketbook, is called : Novellas Graficas, serie Sepia. The serie has red cover titles. Printed around 1960. The third serie, small black & white pocketbook, is called : Novellas Graficas, serie Amarilla. 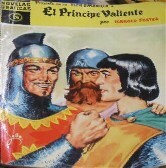 The serie has yellow cover titles. 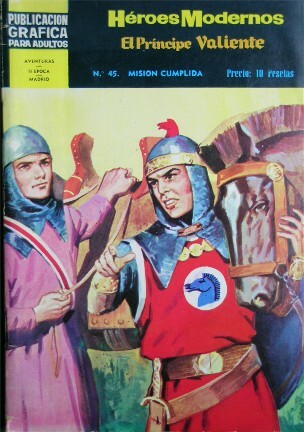 Printed around 1962. The fourth serie has also yellow cover titles. 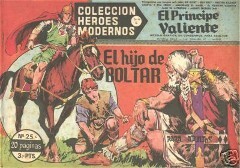 This newest serie is called "publication grafica para adultos, Heroes Modernos". Also black & white pocketbooks. The fifth serie are bundles of the 1st serie. 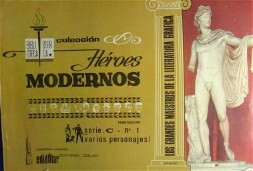 They are called "Heroes Modernos, serie C". Also black & white pocketbooks. 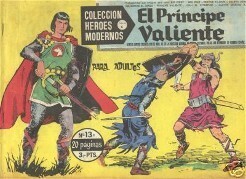 Bundle 1 combines the 1-15 issues of the first serie. Many different comic heroes. It seems that serie 2,3 and 4 are containing identical books. Both second, third and fourth series have "balloons" added to the text!. Value 5-10 Euro's per book. 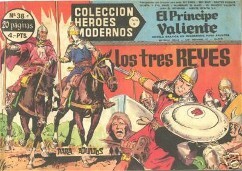 Serie 1; Heroes Modernos, old serie. 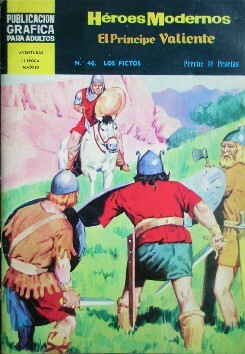 Serie 2; Novellas Graficas, serie Sepia. Serie 3; Novellas Graficas, serie Amarilla. 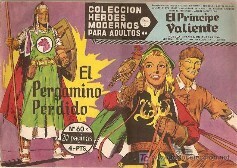 Serie 4; Publication grafica para adultos, Heroes Modernos. 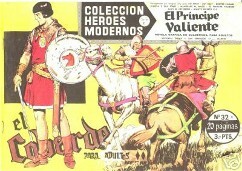 Serie 5; Heroes Modernos, serie C.